In my last post, I said that I would post on our monthly blog a summary of the hazard and best practices based on my experience. Today, I will address the hazard of polyurethane foam in existing structures and the remediation procedure required upon its discovery by the owner or tenant. Polyurethane foam is perhaps the greatest insulator available for commercial structures from Alaska to the Virgin Islands. Unfortunately, once ignited, it burns at warp speed. I have been involved in cases where the fire department arrived within two minutes of the alarm only to find the structure burned to the ground. They were subject to the fire phenomena of flash over. Individuals in the structures may not make it to an exit. A by-product of the flames is hydrogen cyanide gas which is lethal to all species. I have personally deposed many fire experts who customarily testify against the owners and tenants of the structures. If you find yourself as a potential defendant, call me and I can help you with my experience and best practices. Questions about this topic or any other construction law issue? Contact John Scaldara at jscaldara@offitkurman.com or 443.738.1581. Mr. Scaldara is chair of the firm’s Construction and Commercial Claims Practice Group, and a member of the Business Litigation Practice Group. 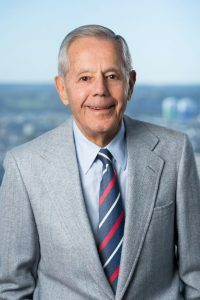 Mr. Scaldara brings to the firm more than 50 years of experience in advising clients on various legal issues regarding commercial litigation, alternative dispute resolution, insurance, and other commercial matters. He is a member of both the Business Litigation Department and the Business Law Department of Offit Kurman.